Do you find that you are constantly tangled in a web of too-many-things-to-do, rush-rush-rush, and no-time-for-just-me? 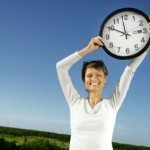 If you want to calm the chaos in your life, improve the quality and quantity of your time, and finally feel that the time you have is abundant not scarce – then here’s the simple secret. Most people feel that they don’t have enough time. Sayings like “there are not enough hours in the day” or “I just ran out of time” are used on a daily basis … maybe you’ve even caught yourself saying something similar not once, but several times a week. Let’s face it. We live in a busy world and lead busy lives. But that doesn’t mean you have to feel overwhelmed, overstretched, or overcomplicated. You’re creating more space in your life, every day, for the things that matter to you. You are here today because you want to calm the chaos – you want to experience serenity, and not just for one day, but for the rest of your life! THIS CAN HAPPEN FOR YOU with just a few easily acquired skills. With my audio course Totally Organized Time™, you walk away with a new feeling that time can be abundant, not scarce … that the quality and quantity of your time can vastly improve … that you can finally be rid of chaos and frenzy in your life. How to simplify your schedule so that you only commit to activities that support your values and priorities and that you can handle. How to achieve balance between personal time and work time. 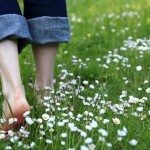 How your values influence your schedule and how to finally make them a priority in your life. How to identify the nine time traps that drain precious moments from your day. How to implement one single core time management strategy that will help you alleviate the time traps and exponentially improve your use of time. I’m so positive that you’ll love Totally Organized Time™ that I offer a No Strings, 30-Day, Money-Back Guarantee. If you aren’t satisfied, or feel that it doesn’t deliver on everything promised, you can request a full refund. 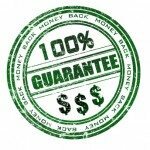 This 100% guarantee means you have NOTHING TO LOSE! 60-minutes of audio instruction, which details how to build your schedule in a way that best supports and serves you. 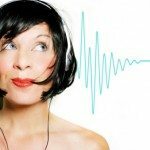 Digital download of 60-minute audio course for those who prefer to learn via listening, on-the-go, or when your schedule permits. Digital download of 60-minute audio course transcript for those who prefer to read, highlight, and take notes. Totally Organized Time Toolkit™, a guidebook which reinforces your understanding of the course material and helps you find even more resolution about using your time wisely. As you can appreciate, getting professional coaching about organizing, prioritizing, planning, goal setting, and time managing – it doesn’t come cheap. My clients pay hundreds or thousands of dollars to work with me privately in order to improve their productivity, focus, and use of time. And I’ll be teaching you the same principles I use with my private coaching clients in Totally Organized Time™. At just $97 – including the Totally Organized Time™ course instruction, audio recording, transcript, and toolkit – you are getting a STEAL. Honestly! And remember, your choice is entirely backed by my “No Strings, 30-Day, Money-Back Guarantee,” so you have nothing to lose. Think about this: WHAT YOU ALLOW IS WHAT WILL CONTINUE. If you allow chaos, then chaos will continue to rule your life. If you want to allow serenity to replace the chaos, then use Totally Organized Time™ as your tool to make it happen! It’s a simple choice.